South Africa, with the largest population of rhinos in the world, is critically important to the survival of rhino conservation. The senseless slaughter of these iconic animals has reached a crisis point and, if the killing continues at the current rate, we could witness the extinction of this species in the next 20 years. With market prices for rhino horn fetching staggering levels, we face the continuous onslaught of ruthless poachers, willing to do anything for the money paid by powerful syndicates whose greed is perpetually fuelled by demand. We need to escalate our fight against poachers and syndicates. This involves the acquisition of intelligent technology, access to manpower and skilled personnel around-the-clock, and specialist resources for surveillance and apprehension purposes. All which come at exorbitant costs.Inyati led the fundraising for the purchase of the Sabi Sands anti-poaching helicopter. Through a voluntary Guest Conservation Contribution, every visitor has the opportunity to protect the reserve’s endangered rhino population. Contributions will be collected from the Inyati guests on departure and are distributed through prescribed channels to the Sabi Sand Nature Conservation Trust. All transactions are independently audited by KPMG, and a section 18A certificate is available on request. The Sabi Sand Nature Conservation Trust is a Non Profit, Public Benefit Organisation established to engage in conservation, rehabilitation and protection of the natural environment. 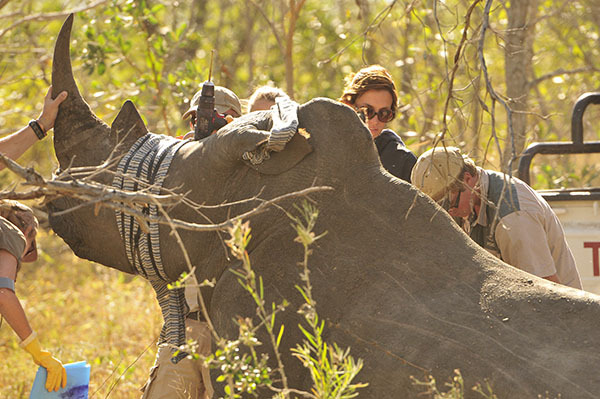 Funds raised through Inyati will be allocated directly to the rhino related expenses of the anti-poaching and response teams both in the air and on the ground. Please help us to ensure that future generations do not look at ours and say that a species vanished from the earth on our watch. The majority of Inyati’s employees are from the impoverished Bushbuckridge communities. Inyati recognises the socio-economic issues of the area and we make every effort to address them in a progressive and mutually beneficial way. Our commitment to transformation extends beyond our employees through our community programmes. We assist local schools and are a major partner in establishing a digital learning centre with Good Work Foundation (GWF) in the Dumphries community on the border of Inyati. GWF provides learning opportunities to school children, adult learning programmes and connects young rural South Africans to the huge opportunities in the growing economy of wildlife. We are able to organise cultural tours of local villages or a tour to the GWF digital learning centre in Dumphries. Read more on our community initiatives. Inyati is committed to long term sustainability and to respecting the local community and environment in which we live. We care about our people and ensuring a representative workforce. Inyati employs about 45 permanent staff, most of which are from the local community. 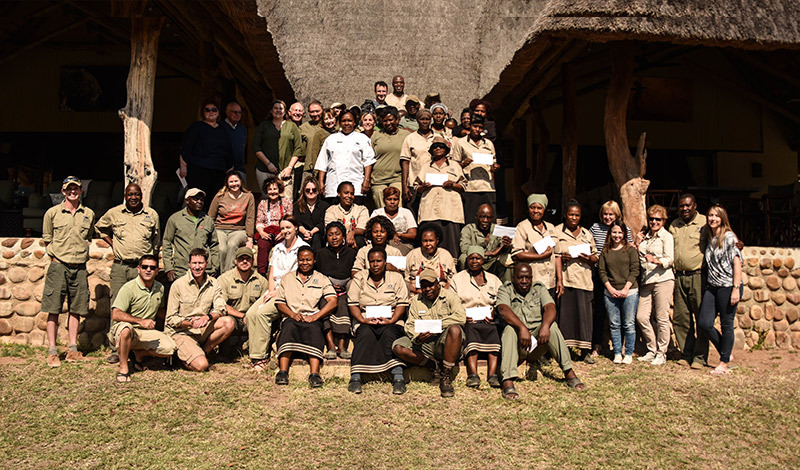 Many of our staff have been with Inyati for more than 10 years making Inyati their home and creating that family atmosphere that the lodge has become renowned for. We were the first reserve to create a staff share scheme back in 2013 which ensures our staff, as owners, get to participate in the success of our business. Our employment equity certificate demonstrates our commitment to transformation in South Africa. Hey Buddy!, I found this information for you: "Our Impact". Here is the website link: https://www.inyati.co.za/our-impact/. Thank you.